As per one of the surveys conducted regarding the choice to make in between swimming pool and spa, interestingly the majority voted for having both at the same time. The combination of swimming pool and spa is highly relaxing for the people who want a perfect day out for their grooming and reducing the stress of the week. In view of the benefits of spa, many homeowners have also built a swimming pool and spa in their home. This brings an exotic and great form of recreation at home and can be used by the entire family. The spas at home also make a great attraction for your guests and reflect you high standard of living and lifestyle. The entire globe people are usually thinking of the possible health benefits of a swimming pool and spa. They call it hydrotherapy that shows that we can use the spa and the swimming pool; the possible benefits are endless. Spools are a great addition to any backyard that may not be big enough for a swimming pool. The term "Spool" is a combination of pool and spa and is essentially a small pool. Just like all our services, we custom build spools to fit your vision and your space. 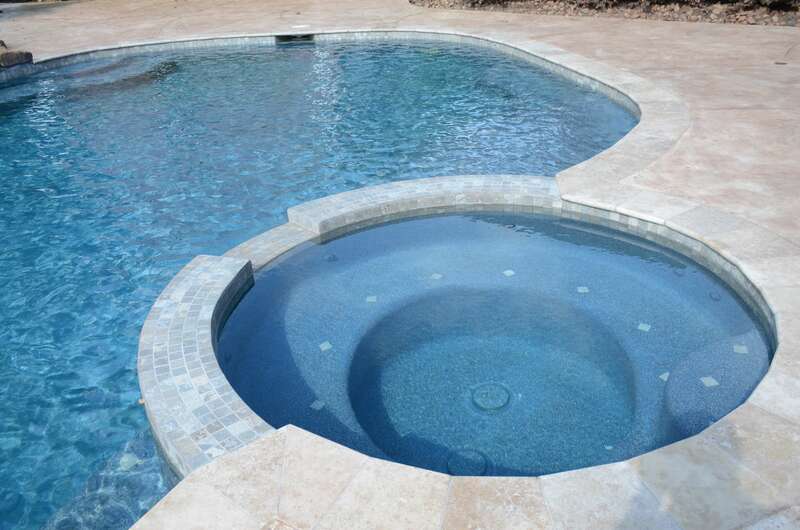 Please fill out the contact form below for a free estimate and more information on building a spa or spool.